A few months ago, I mentioned that Max and I were taking a break from Teach Your Child to Read in 100 Easy Lessons. The lessons had become quite tedious, and neither one of us was having much fun. So we switched to the BOB books, played with our whiteboard, and learned sight words. But then, at the beginning of the summer (and as we sat down and made some goals), I thought it might be time to give the structured lessons a try again. Lo and behold, it was like working with a different child. Suddenly, we were getting through an entire lesson with nary a tear or a complaint. He was sounding out words smoothly and effortlessly. He was remembering what he learned and applying it to reading in real life. My jaw was practically dropping open, I was so shocked by the transformation. This experience taught me three things: sometimes a little growing up can go a long way, it never hurts to try again, and remaining flexible is absolutely essential. When Maxwell made his goals for the summer, we decided to try to get to Lesson 70 in the reading book. He was at Lesson 50, and I thought twenty lessons was a reasonable goal, especially because we do each lesson twice. Why do we repeat each lesson? 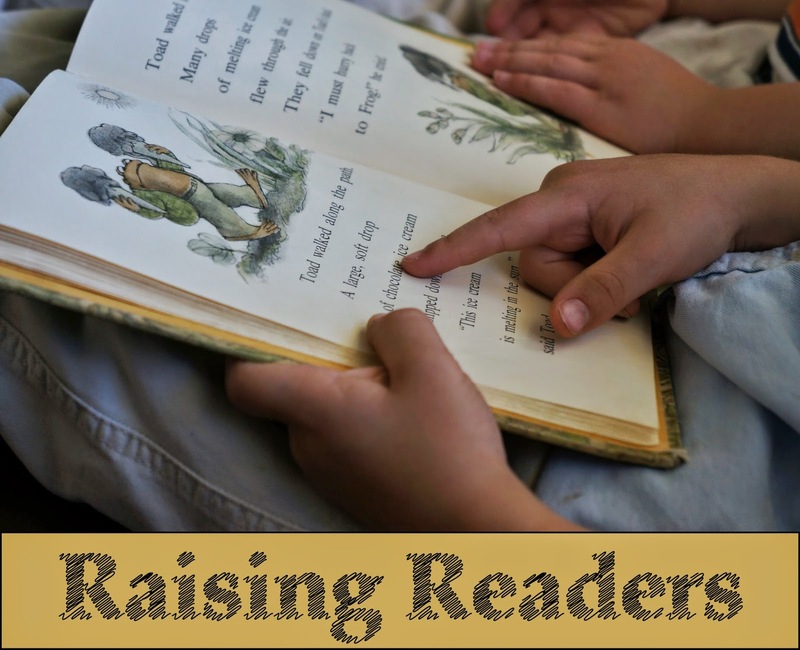 In Teach Your Child to Read in 100 Easy Lessons, a second reading is worked into every lesson. There are instructions for what to do the first time through and what to do the second. Still, I know parents who use this method and skip the rereading, so it's definitely not a requirement. When Max reads the story through the first time, it is halting and slow. He has to stop and sound out words, which often makes him lose his place and distracts him. When he comes at it again, the sentences are more seamless, simply because he's already navigated the territory once before. Think of a pioneer blazing a trail across the prairie. The imprint of the path becomes deeper and more familiar with each footstep that passes over it. It is the same with rereading. Because the flow isn't broken as much the second time through, it makes the sentences easier to understand. Instead of a mass of disjointed words, they come together to express an idea. The more times you see a word, the easier it is to remember it. So if you read the word "mother" seven times in the first reading, you get it seven more times in the second reading, and by the end you hardly need to think about it anymore. This is the real reason I am so adamant about rereading. If you only have your child read through something once, all he knows about reading is that it's tedious and long and a struggle. Every time he reads, he feels overwhelmed. He doesn't feel like he's getting better because each lesson introduces new words he's never seen before. But, if you have your child read through the same material a second time (or even a third or a fourth), the flow and the comprehension and the recognition will all come together, and he will feel like a real reader. He will feel so proud and may even want to demonstrate his skills for a grandparent or aunt or uncle. A couple of weeks ago, I recorded a portion of Max's reading session. You'll notice some of the things I already mentioned: slow, laborious, lots of sounding out, easily distracted, etc. Then a day or two later, I recorded him reading the story a second time. We've done a lot of reading lessons together, but even I was shocked with the results. He read the same portion in less than half the time and hardly stumbled over any of the words. As far as videos go, these aren't very exciting, and I don't expect you to watch them in their entirety. However, I really wanted you to be able to see the noticeable difference between a first and a second reading. Of course, every child is different, and depending on the age and temperament of your child, he/she may not benefit as much from rereading. You will have to decide. But I definitely think it's something worth trying, especially for a child who might just need a little boost of confidence to enter the next phase of reading. These posts are so wonderful. I keep pinning them for future littles in my life. Once your spouse comes home from work, a third reading may be performed for his benefit too. Dad loves to see progress, kid loves to show off for Dad, and, yay, more practice!